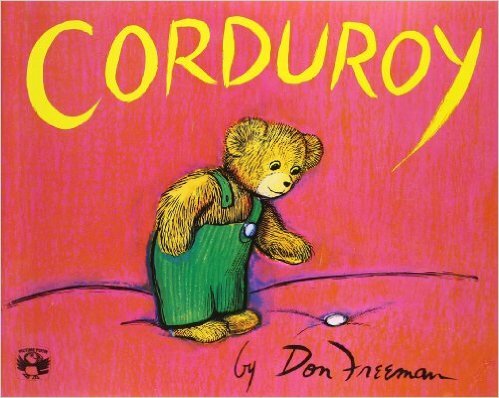 Storyline: Corduroy was just a stuffed bear sitting on a shelf inside a very big department store. He was hoping that someone will buy him so he can have a home and a friend. But people were just passing by. But one day, a girl named Lisa, shopping with her mother, saw him: he was just the bear she wanted. Her mother though didn’t want to buy it, among the reasons being that he was missing a button from his green overall corduroy. The bear was sad and when the night came he decided to look for his missing button. He wondered out of the shelf and through the store – that he thought it was a palace – until he reached the furniture department where he ripped a button of a bed. In doing so he knocked down a big lamp and the noise waken up the watchman who found corduroy and brought him back to the shelf where the bear fell asleep. But in the morning the girl came back and bought the bear with her own savings. She brought him home where she had already set up a little bed just for him and then she fixed his missing button. Needless to say how happy corduroy was. Characters: Corduroy, Lisa, Mother, the watchman, people, toys. Illustration: Don Freeman is also the illustrator of this book. His drawings are realistic. There are bold colors through the whole story. The storyline is very easy to follow through the drawings. Also the atmosphere he creates through his drawings is lovely and vivid. You can almost see the people moving and chatting throughout the department store.